Sync Software is Automatically backup and synchronizes your important files locally – between desktops, laptops, servers, external drives, and Windows Mobile devices so you can make sure that two or more locations contain the same up-to-date information. And If a file is added or updated in one of the locations, the synchronization process will add or update the file in the corresponding location. 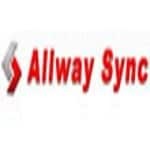 We’ve done our best to collect and review sync software market and we found these 5 Sync Software are among other competitors, we have crossed these sins as we found them stand out from the crowd in 2018. 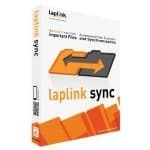 We hope these will help you make right decisions and to find the sync software suited for your PC and Mac, Save yourself some time and check this list out. PCsync Allows you a quick and easy file transfer from a PC to the – other. No matter whether you use Windows Vista, XP,7/8/10 or operating systems with PC sync you can share your files and folders quickly and safely transfer and synchronize easily..
SugarSync goes even further in data backup and sync, Suger sync provides a Continuous online backup of your files to secure personal SugarSync storage account, with automatic file versioning, and Syncing files, photos, music and more between all of your computers is easier than ever with SugarSync. SugarSync works quietly in the background to keep whatever files and folders you desire in sync across all of your computers, SugarSync scored excellent in backup/restore and sync and it’s the lightest running sync software on CPU and memory. I use a realy good file and folder synchronisation app that is not listed here so I thought it would be worth mentioning as although it is a very simple application it has worked very well over the last couple of years. The app is called Lite Sync and you can get a free copy from https://www.filesyncsolutions.com.